We were so impressed and moved by the Anne Frank House in Amsterdam. The museum is about the life of the Jewish family Frank during the war. The second world war was a horrible time for a lot of people but for Jewish people it was extreme. The Nazis deported Jewish people to concentrationcamps where they were gassed, starved or deceased bij contagious diseases. 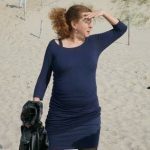 Jewish people tried to leave Holland or went into hiding. 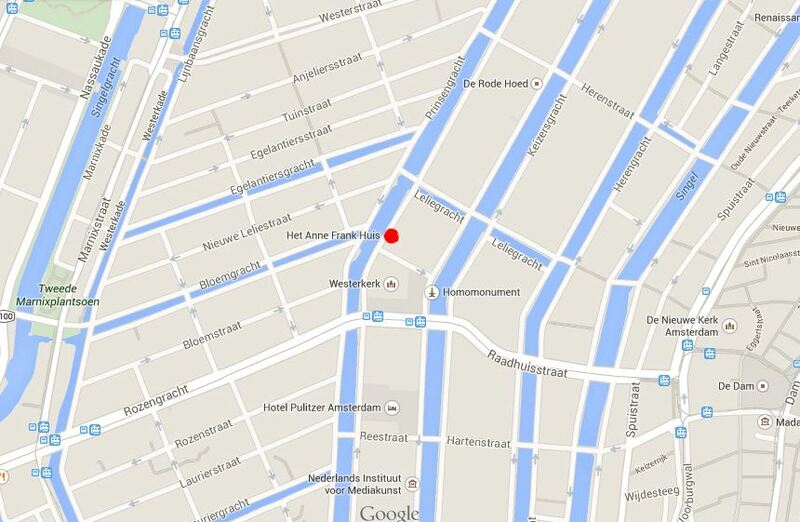 In the Anne Frank House 8 people were hidding: the Frank family, the Van Pels family and Fritz Pfeffer. 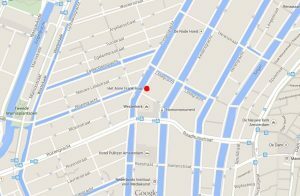 They stayed indoors from 1942 till 1944 in a secret section behind the front part of Anne Frank House. The enterance to the secret section was covered by a movable bookcase. They were helped by the employees from her fathers business. One of the employees, Miep Gies, she died in 2010, was the one that saved the diary from the Nazis. After the end of the war father Otto Frank returned to Amsterdam. Miep Gies gave him Anne’s diary. In the year 1947 the diary of Anne Frank was published for the first time. Anne was only 12 years old when she had tot hide. How difficult it must have been for her and her companions to be quiet all day long and stay inside for so long. Anne kept a dairy in which she writes about her thoughts and emotions. In august 1944 the family was betrayed; arrested by the Nazis and deported to a concentrationcamps were they all died exept father Otto Frank. He was the only one of the family who survived the war. Nobody knows who betrayed the families to the Nazi’s. Anne dies at the age of 15 in concentrationcamp Bergen-Belsen, her sister already died in this camp for Typhus. How awful to die so young and lonely, torn apart from her loved ones, only weeks before liberation. Anne Frank symbolizes for many people the death of the 6 million Jewish people killed by the Nazis in the second world War. Beside Jewish people were also gyspies, disabled, political prisoners, prisoners of war and anyone that saw the Nazi’s as unnecessary was send to a concentrationcamp or extermination camp. All over the world streets and schools are named after Anne Frank. 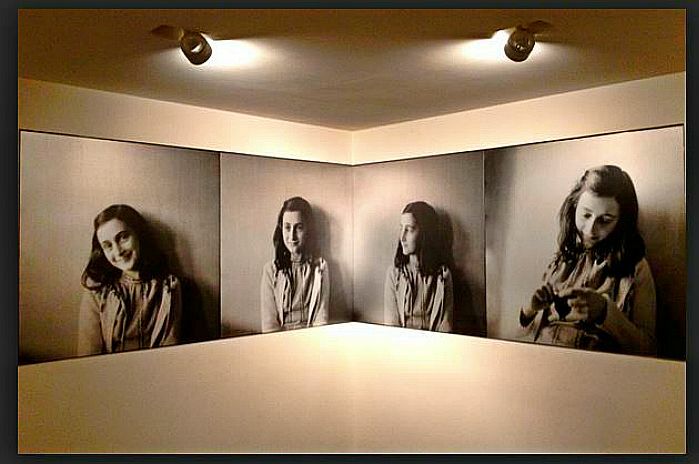 In many Dutch towns there are monuments for Anne Frank. There are also movies and plays made of the life of Anne Frank. Recently the Anne Frank House was used in the movie The Fault in Our Stars. Opening hours: from november 1 till march 31 from 9.00 till 19.00 / saterdays till 21.00 hours. From april 1 till Octobre 30 from 9.00 till 19.00 / saturdays till 22.00 hours. In July and august the museum is daily open from 9.00 till 22.00 hours. Prices: Adults: € 9,00 , 10-17 year: € 4,50, 0-9 year: free. Ticket online: If possible it’s higly recommended that you buy a ticket online because most of the time the waiting line is very long. This museum is located in a typical canal-side house with steep staircases. People who have difficulty walking may have trouble climbing the stairs. The old section of the Anne Frank house is not accesable for wheelchairs.